Whilst we were out geocaching in Southern Portugal we came across an abandoned quinta miles from anywhere. 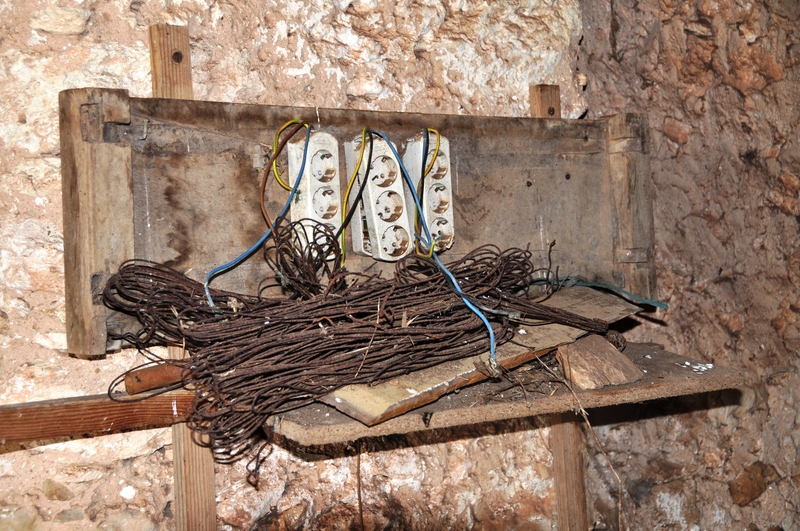 Inside was this fine example of Portuguese wiring. No wonder the place was abandoned – the devil was certainly in the detail! This entry was posted in Geocaching, Home, Lagos and tagged algarve, photoblog, photographs, photography, photos, portugal, postaday, weekly photo challenge. Bookmark the permalink. Holy cow… I am feeling the “shock”.